I got a commission from shynjy who is awsome btw! 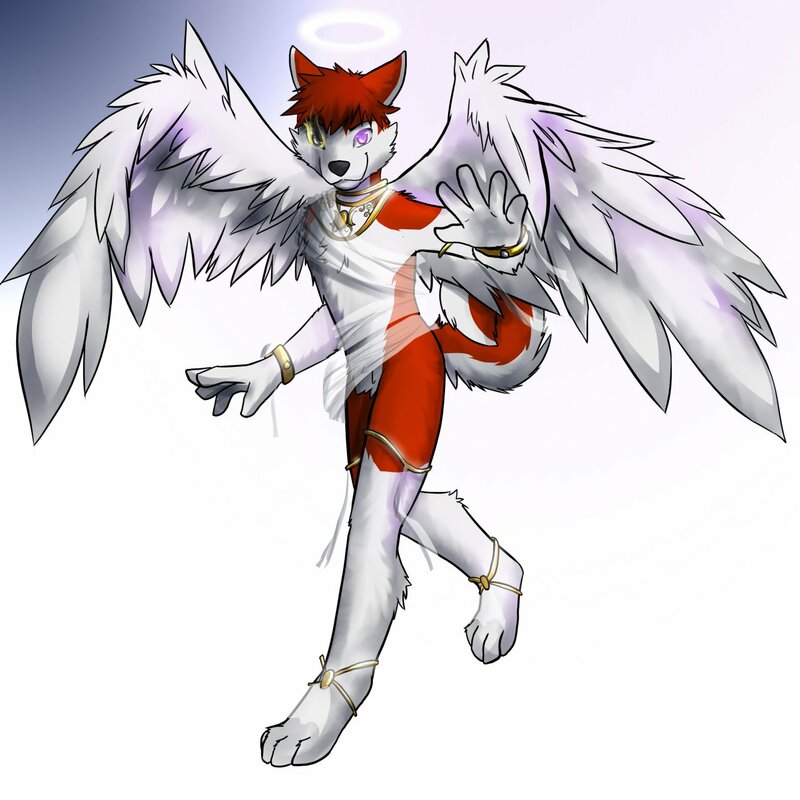 This is a picture of Cenny as an angel.. I kinda have an idea for a design for him to have this semi possessed angel =P, glowing golden eyes and such, thought it would be cool, On his right eye you can see the possessed look, where as on his other hes normal.. Prolly mayyybe gonna get more of him like dat o.O Golden glowy possessed Cenny or cute cuddly Angel Cenny.. WHICH DO!??! Anyways =P He'll be wearing silks and golden bands allways if ever gets more pics done of him =3 Hope you like it! Ps.. Cenny isnt an angel >.> its just a clever disguise.. if he has a halo, its obviously held up by invisible horns.